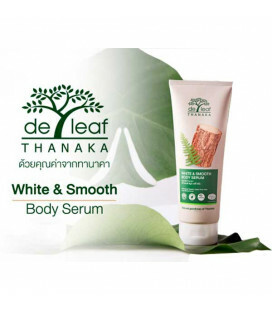 THE STORY OF DE LEAF THANAKA De Leaf Thanaka was established with the belief that natural ingredients are the key to healthy skin. We rediscover nature and resemble it with science to create a key to unlock the natural beauty in women’s skin. THE STORY OF DE LEAF THANAKA De Leaf Thanaka was established with the belief that natural ingredients are the key to healthy skin. We rediscover nature and resemble it with science to create a key to unlock the natural beauty in women’s skin. Partnering with an accredited team of skin specialists and renowned cosmetic manufacturer, our products are produced, distributed and marketed internationally across South East Asia region with assurance for high quality, efficacy and safety. Our Promise “Our mission is to dedicate our business to the pursuit of well-being of the people and society related to our presence, without compromising on the quality of the environment. We are committed to create great natural-based products made from specially selected plants that have long heritage and excellent benefits to make people look and feel naturally better “ To know Thanaka Thanaka is a yellowish-white cosmetic paste made from ground bark. It is a distinctive feature of Myanmar, seen commonly applied to the face and sometimes the arms of women and girls and to a lesser extent men and boys. Thanaka trees grow abundantly in central Myanmar. The trees are perennials, and a tree must be at least 35 years old before it is considered mature enough to yield good-quality cuttings. To know Thanaka tradition Traditional Thanaka cream is made by grinding the bark, wood, or roots of a Thanaka tree with a small amount water on a circular stone slab called kyaukpyin which has a channel round the rim for the water to drain into. Traditional Thanaka cream has been used by Burmese women for over 2000 years. To know Thanaka benefits It has a fragrant scent somewhat similar to sandalwood. The creamy paste is applied to the face in attractive designs. It may be applied from head to toe. Apart from cosmetic beauty, Thanaka also gives a cooling sensation and provides protection from sunburn. It is believed to help remove acne and promote smooth skin. It is also an anti-fungal.